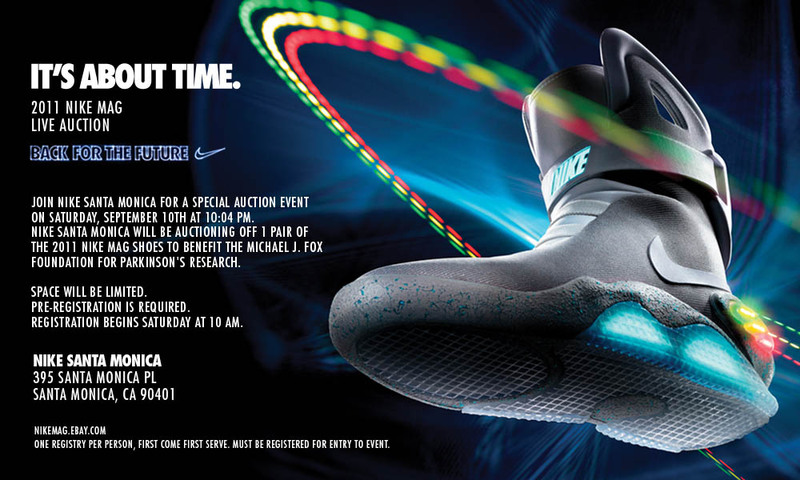 Throughout the next week, flagship Nike locations in Santa Monica, New York City and Las Vegas will be holding live auctions for the highly-publicized 2011 Nike MAG shoes. 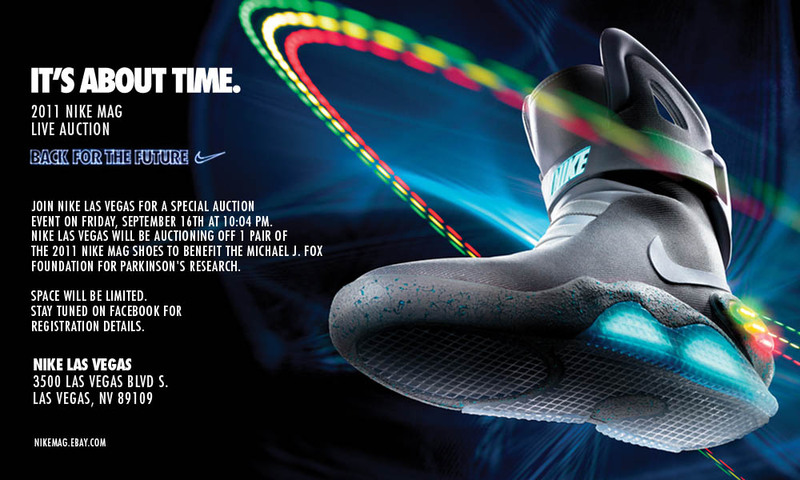 Throughout the next week, flagship Nike locations in Santa Monica, New York City and Las Vegas will be holding live auctions for the highly-publicized 2011 Nike MAG shoes. 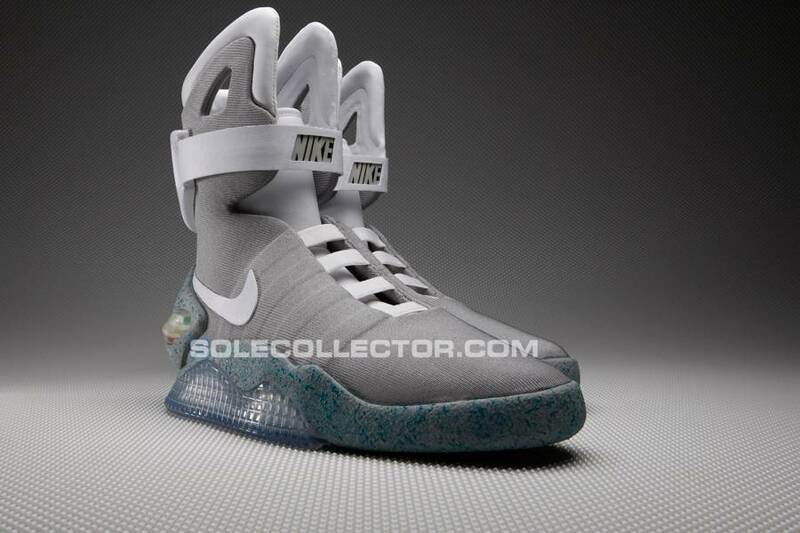 At each venue, one pair of MAGs will be auctioned off, the high-bidder receiving the opportunity to choose his or her preferred size and an exclusive Plutonium Grade case. UK Rapper Tinie Tempah won the very first Nike MAG auction, spending $37,500 to secure his pair. Last night's opening round of MAG auctions on eBay totaled around $917,000, averaging about $6,113 per pair. In other words, show up ready to spend, with all proceeds going toward the Michael J. Fox Foundation for Parkinson's Research. Space will be limited and you'll need to pre-register to attend the auctions. Make sure check the official Facebook pages of each location (linked below) for more information.